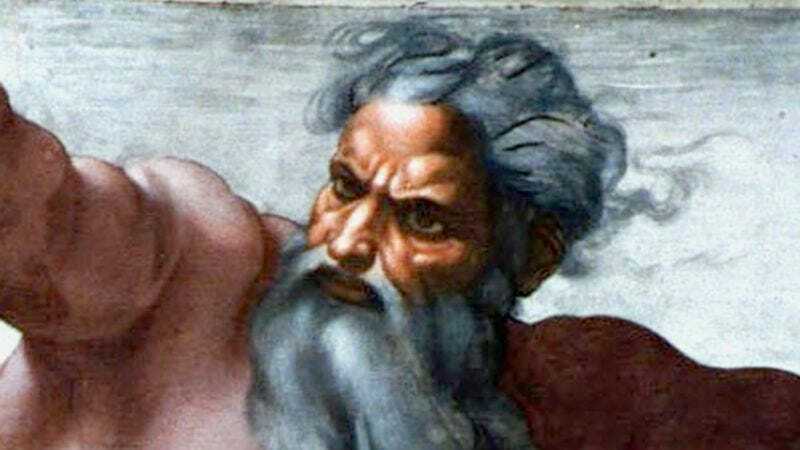 THE HEAVENS—Staring off into the middle distance for several minutes in obvious discomfort, The Lord Almighty, Our Heavenly Father, announced Monday that He was “hurting real bad” after consuming an entire 20-piece order of spicy angel wings. “Ooh, mama,” said God, who was reportedly sweating profusely and had bright orange “Atomic” angel wing sauce speckling His white beard. “Oh, I’m so dumb. Why didn’t I just get a half-order of the angel wings? Or the honey BBQ kind? Ugh, I’m gonna be feeling these suckers for the next couple millennia.” According to sources, a logy God later suffered severe sunburn after dozing off on some clouds that were bathed in direct heavenly light.